They don't half get a move on just before flowering don't they. Will try and get a photo of mine to show you tomorrow Mags. I am so pleased with it. It is a gorgeous soft pastel pink. I have a red one following on a bit later. Do you know what colour yours will be? 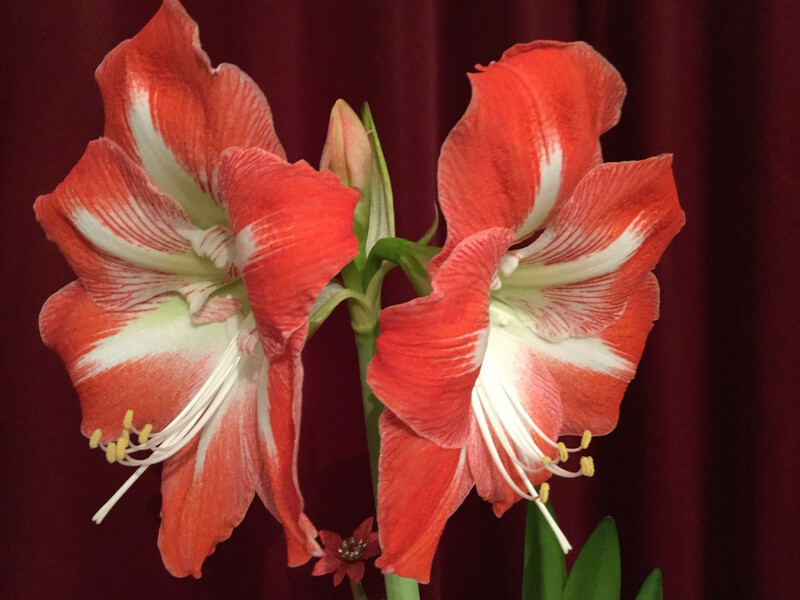 My Amarylis has flowered at last after reaching a height of 30 inches! Ours is flowering today too, same colour as yours mags. 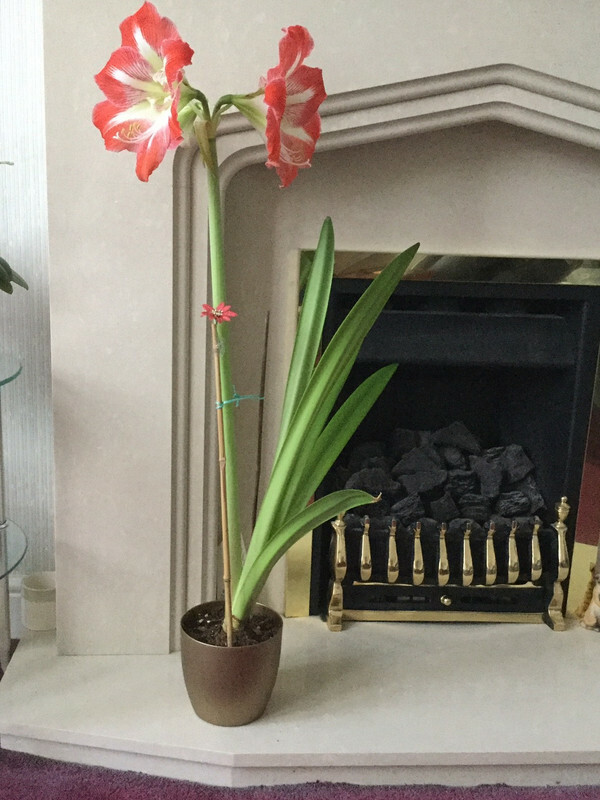 It's had to be moved from where we normally grow them as it grew too big for the height of the window, just over 48 inches tall never seen such a big one I wonder if it's bad start caused it ?? Gosh! that's tall Julie I thought 2' 6" was tall but 4FT is amazing! Too tall mags it fell over in the night, the weight of the top made it top heavy and over it went. I have popped it back in the pot and put the pot in a bigger pot with half a brick in the bottom to try and keep it standing up. Steven says there are some canes in the shed downstairs so I'm going to brave his collection of stuff and try and find them to make a scaffold for it. Not broken the stem but it looks a bit sorry for it's self listing to the side at the moment. I took a couple of mine too, but haven't had a chance to get them off the camera yet.